Real Estate Taxes (Form PT-172) – The transfer tax must be paid at the time or before recording. This can be paid Online or at the Clerk’s Office. 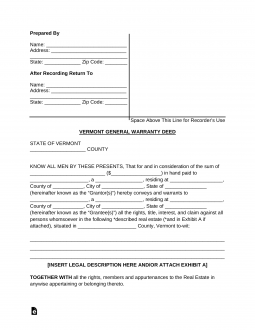 Recording (§ 402) – Must be recorded in the County Clerk’s Office. Signing (§ 342) – Must be signed with the Seller(s) in the presence of a Notary Public.